Created through the millennia by silt and sand deposition from the St. Louis and Nemadji Rivers collecting with more sand left by Lake Superior, Minnesota and Wisconsin Points make up the longest freshwater sand bar in the world, and their location creates a natural breakwater protecting the waters of Superior Bay. Until 1870, all vessels entering the St. Louis River from Lake Superior were forced to negotiate a single void between the points known as the Superior Entry. In the early 1850s, the U.S. government began work on a series of locks on the St. Mary’s River at Sault Ste. Marie which would allow shipping traffic from Lake Michigan to access Lake Superior. The new locks would be complete in 1855, a year after the Second Treaty of LaPointe allowed settlement on the Minnesota side of Lake Superior. Pioneers at the Head of the Lakes looked forward to a surge in commerce. Realizing that traffic through Superior Entry would increase dramatically, Congress appropriated $15,000 on August 3, 1854, for the construction of a light station to serve the Superior Entry. A site for the station on the southern-most portion of Minnesota Point—known as the barrens—was selected and surveyed in 1855. Work began late the following year, after the schooner Fanny and Floy delivered materials and a foundation was laid. Construction resumed in 1857 and continued throughout the year until cold weather set in, and work stopped until spring. German stonemason Adam Dopp used red Ohio brick to construct the tower and a keeper’s home, later coating the tower with a limestone whitewash. The tower stood fifty feet tall when it was completed in 1858. The light was finally completed in 1858, when Ruben H. Barrett, the station’s first keeper, exhibited the fixed red Fifth Order Fresnel lens for the first time. Barrett lived in the keeper’s cottage with his wife Stella and their four children. When thick fog rendered the light useless, Barrett used his own lungs to blow a warning through a logging camp dinner horn. Local residents called it “Barrett’s Cow.” Barrett was succeeded as keeper by Horace Saxton, J. B. Greenfield, Patrick McCann, G. M. Grover, and Robert Sanborn. 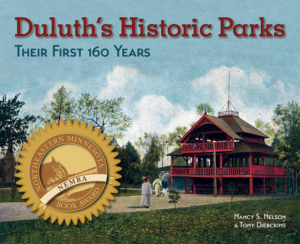 As Duluth began to grow in the late 1860s, a rivalry began brewing between the two largest communities at the Head of the Lakes. In order to divert vessels from using the Superior Entry—seven miles away from the center of town—Duluth developed an outer harbor, but its breakwater was no match for Lake Superior’s fury. With the financial backing of the LS&M, Duluth completed its ship canal in 1871, allowing all vessels safe passage to the Duluth Harbor. Within a year of the canal’s construction, nearly all traffic through the Superior Entry ceased. A protracted legal battle between Duluth and Superior over the canal followed, but by 1877 the federal government had taken over ownership of the canal and had invested in it; the presiding judge essentially dismissed the case. Traffic through the Superior Entry began to increase in the 1880s. By then, the point’s ever-shifting sands had “moved” the lighthouse to a spot nearly a half-mile from the entry. 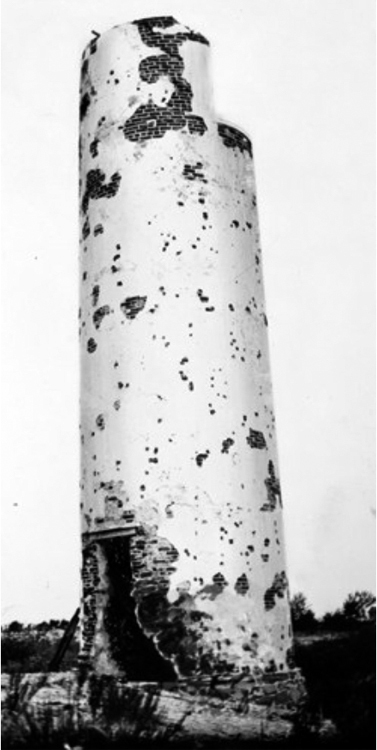 The old Minnesota Point light was discontinued on August 6, 1885. Four years later the federal government built wooden piers along the entry to stabilize it. During construction the Lighthouse Board decided to move the Minnesota Point Light to the new entry’s north pierhead on the Minnesota shore and installed it within a pyramid-shaped wooden frame. Meanwhile, the 1858 keeper’s dwelling was completely refurbished and served as the dwelling for the keepers of what became known as the St. Louis Pierhead Light. In 1895 work began on the reconstruction of both the Superior Entry and the Duluth Ship Canal; each was widened and lined with concrete piers. The Lighthouse Board determined that with the new piers, navigation through the Superior Entry would be better served with a light on the Wisconsin side of the channel. A new light—Superior Entry Pierhead Light—and keeper’s dwelling were constructed across the channel on Wisconsin Point. Thus, the Minnesota Point keeper’s dwelling was finally abandoned; without the constant care of the keepers, it deteriorated rapidly. The board had it torn down in the late 1890s. While the Minnesota Point lighthouse was essentially abandoned at this time, the Lighthouse Board was not yet done with the barrens. In 1902 the Board selected the old lighthouse reservation as the best location for its planned Duluth Buoy Depot, and construction of the depot beginning the following year. Unfortunately, during this time the old light tower’s cast iron lantern and spiral stairs were removed, and without this added support the upper portion of the masonry walls annual freeze/thaw cycle took a toll on the bricks and mortar. The tower began to crumble. In January 1934 the U.S. Department of Interior measured the building as part of a Historic American Buildings Survey. The survey noted that the lighthouse was then approximately three quarters of a mile from the entry, about its same location today. No initiative ever sprouted wings, and the old lighthouse sits today surrounded by encroaching brush and a damaged fence. Mindless vandals occasionally tag it with graffiti, and it now stands less than 30 feet tall. In 1974 the lighthouse ruins were placed on the National Register of Historic Places, but other than installing a chain-link fence around it, nothing has been done to protect or preserve the first lighthouse at the Head of the Lakes. But that may well change soon. The Lake Superior Marine Museum Association recently announced the “Save Minnesota Point Lighthouse” project, hoping to preserve the iconic landmark. According to The Nor’Easter, LSMMA’s quarterly newsletter, “Plans for a stabilization study are underway as a first step towards preserving what remains of the structure… Longer range plans…include raising funds to stabilize and protect the lighthouse tower from further deterioration…[and] an appropriate historical marker.” To contact the LSMMA and see how you can help, contact them here.